Thanhouser Career Synopsis: Lloyd F. Lonergan was with the Thanhouser company from the beginning as a founder. He remained until the end, except for one period of several months, and was the company's most prolific and important scenario writer. Biographical Notes: Born in Chicago, Lloyd F. Lonergan was one of five children (four boys and a girl) of Thomas A. Lonergan, a newspaper publisher and editor, and Ellen A. Lonergan, a newspaper writer born in Ireland, who during his career was society editor for The Chicago Tribune and The New York World. All of the Lonergan children became newspaper writers. Lloyd F. Lonergan was educated at the Annapolis Naval Academy. For many years he was a newspaper and magazine writer for the Hearst organization in Chicago and, later, New York. For seven years he was Albany correspondent for the Brooklyn Daily Eagle. In 1902 he was on the staff of The New York Evening Journal. While still working on a newspaper, The New York Evening World, he wrote scripts for Edwin Thanhouser in 1909 and 1910, including that for the first Thanhouser release, The Actor's Children (March 15, 1910), and most others for the first two years. He was married to Molly Homan, a sister of Edwin Thanhouser's wife. When the Thanhouser Company was formed in 1909, and Lonergan began writing scenarios for it, he maintained his residence at 205 West 94th Street, New York City. Later, he and his wife moved to New Rochelle, and from 1913 through 1916 the couple lived in Beacon Hall, a large apartment building adjacent to Thanhouser's main studio. In 1917 the Lonergans relocated in the Pepperday Inn across the street. Epes Winthrop Sargent in The Moving Picture World, April 4, 1914, wrote of Lonergan: "Almost since the formation of the Thanhouser company, Lloyd Lonergan has written practically all of the Thanhouser releases; not by merely putting his name on the script he revises, but digging out the idea, getting it on paper and generally cutting the film afterward. We are inclined to think that he has written more produced plays than any single photoplay writer, and his batting average runs about .980. He has kept on year after year, turning out two or three a week and yet never letting the suggestion creep into his stuff that it is machine made. "He doesn't write the same story this week that he wrote the week before last and is going to write again the week after next. He doesn't run his ideas around in a ring like the ponies in the circus. He makes them as different as possible and gives to the Thanhouser releases a diversity that is lacking in some companies where the scores of writers are done over into the same mold by an editing editor. He has the trick (for it is a trick, developed by practice) of seeing a plot theme in the commonest happening of life. He takes some simple little incident and makes it unusual by skilled treatment until, if you knew the source of inspiration, you would scarcely be able to recognize the play as being derived from the incident. And it is not that he is out for the long-distance record, either, but he early found that he could write each week better stories than he could buy once a month and, so, instead of wading through a mass of stories, he advertises that he is not reading outside contributions and devotes part of the time he saves to giving directors just what they want. "Like most prolific writers, he is an old-time newspaper man, and for 15 years he was a Hearst editor, which means a lot to those familiar with the erratic editorial policy of those papers. His faculty of seeing back of the little things was developed on the editorial desk, for the editor must be able to see beyond the copy turned in by the reporter and dig the real story out. Now he is doing the same thing, but he is turning his stories into pictures instead of headlines and body type. Incidentally, he comes of a family of writers." The "Notes of the Trade" column in The Moving Picture World., April 4, 1914, was on the same subject: "To have written more than 600 produced photoplays is the record held by Lloyd F. Lonergan, production chief at the New Rochelle, New York studio of Thanhouser Mutual movies. For four years Mr. Lonergan has written all the Thanhouser plays, of which there have been three a week. Many of them have been plural reel productions. So Mr. Lonergan has really written more material than appears from the number of the photoplays." An article by John W. Kellette, in The Moving Picture World, September 12, 1914, stated that Lloyd F. Lonergan had written 700 scenarios. However, despite this prodigious output, "he never appears to be busy. Cordial greetings are ever ready for those who he terms his friends, and he delights in having his friends break into his office and take him away from his work, whether it be to go for a sail on the Sound, swim, golf, a movie show or a stroll. It's all in a day's work for him, for the cheerful director of productions of the Thanhouser Corporation. He can always find time to take his friends over and around one of the world's big studios and explain the story in action as he flits from director to director while a baker's dozen of 'em are kept busy visualizing his output. "The secret of his success, he told the writer recently, is 'work!' He has passed up the purely mechanical phases of the work, and dictates to a stenographer who later puts her shorthand pothooks into type. Yet his work is thorough. He revises the first draft from the stenographer, and this is passed on to the typist to make the copies that the studio requires - a dozen in number - for several departments must have a script before the work is shown as a first run. The director gets one, his assistant another; the studio manager, the carpenter, the scene painter, technical constructor, negative cutter, the joining room, and others who figure into the making of the script. And his 'hits' figure about .999. "Where he finds time, though, to create such masterpieces as Undine, The Star of Bethlehem, The Woman in White, Lucile, Cardinal Richelieu's Ward, Joseph and his Brethren, to read and absorb the books and visualize his construction and then dictate it, and to keep traveling along with original work, is a mystery. Even while working on the 46-reel serial now being produced, he finds time to turn out such work as The Messenger of Death, The Tin Soldier and the Dolls, The Pendulum of Fate, and others. Besides all this he devotes considerable time to lodge matters. He is a past master of a Brooklyn lodge of Masons, and is very active in New Rochelle as an honorary member of Huguenot Lodge, F. & A.M., and is a moving spirit in New Rochelle Lodge of Elks, representing that body at a recent convention. "Mr. Lonergan finds time, too, to pick out locations and make trips with directors on 'hurry-up' stories, such as fires, etc., and recently went to Washington on The Million Dollar Mystery and while there saw a chance for a corking comedy, and the result was From Wash to Washington, wherein Carey L. Hastings as a washerwoman dreams that she is Marguerite (Peggy) Snow, and that Jimmy Cruze is her knight errant, and the inventive Lloyd F. had Peggy and Jimmy meet the nation's celebrities, and will soon be seen in a Thanhouser release. Should he desire to consult with Harold MacGrath, collaborator in the big serial, he doesn't object to taking such nice little time destroyers as trips to Syracuse or Chicago, and he is in daily touch with the great fiction author by mail, wire, phone, and the twin tracks of steel. Should a fire break out, Mr. Lonergan summons director, cameraman, actors and actresses and taxis, and goes with them to the scene. There he'll plot out certain business and on the way back decide what he will do with it. At his office he'll dictate a full script to a waiting stenographer, should the fire be big enough to warrant the story to be written around it. Because Mr. Lonergan has been able to do this is an explanation of why Thanhouser fire scenes and stories are so powerfully convincing. "His entrance into the 'game' was a result of persuasion on the part of his brother-in-law, Edwin Thanhouser, his retention upon the merit of his work, but with the literary equipment he possessed by virtue of a metropolitan editorial connection on the Hearst papers covering several years, short stories, articles and essays in magazines and other outlets, and an imagination that appears to have no equal, the 700 scripts will grow to thousands, for Mr. Lonergan is a young man, strong physically, and mentally, and grows stout on work - his secret formula for success.... With Mrs. Lonergan he enjoys life to the fullest realization." A 1914 Sketch: The New Rochelle Pioneer, September 5, 1914, carried this sketch by John William Kellette: "Lloyd F. Lonergan, of Beacon Hall, is Chief of Production of the Thanhouser Corporation, and to Mr. Lonergan comes the laurel crown as the world's greatest scenario writer, he having 800 or more scripts to his credit, or an average of about 200 stories a year. This is a remarkable record, and everywhere in the screen field he is accorded the greatest writer that the game ever produced. But Mr. Lonergan takes his laurels with easy grace. He has shunned, rather than sought, publicity, and where he finds time to do the enormous amount of work that he does is a mystery, because he also grants some of his hours to lodge and charity work. He is Past Master of Manual Lodge, No. 636, Brooklyn, F. & A.M., and was elected to honorary membership in Huguenot Lodge, No. 46, F & A.M. In the New Rochelle Lodge of Elks, 756, he holds life membership. He has been a resident of New Rochelle almost five years. To be exact, in December 1909, Edwin Thanhouser, his brother-in-law, desiring a scenario editor, had Lloyd F. come on, and the 'City Beautiful' so charmed him that he has stayed ever since. 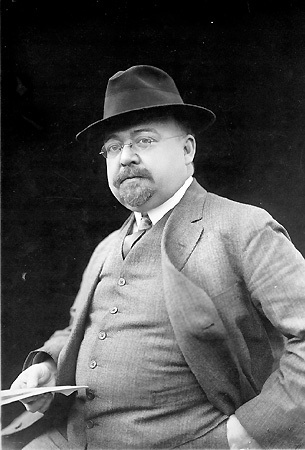 He had newspaper connections with the New York World and New York Journal, and was a Hearst editor in his last connection, and from sentimental reasons alone, still continues as the New York correspondent of the Portland Oregonian, a paper of wide influence in the Northwest. "His best short story work has appeared in Munsey's, Top-Notch, and other magazines of wide appeal. The Chicago Examiner had the benefit of his trenchant pen for a time, and he believes, rightly, that his best screen work is shown in The Million Dollar Mystery, in which he collaborated with Harold MacGrath, a world-famous fiction writer, in producing the greatest screen serial the photophans [sic] of the world have had the privilege of enjoying. He works at any hour during the day or night, and while working on drama finds that it rests him to dash off a comedy or two. He is never stumped for ideas. He is one of the most prolific plotters, and his technique is perfect from a direction standpoint. He has the rare gift of being able to dictate his plots and technique to his stenographer, while most writers have to pound out the stuff on the 'mill.'" After Hite's Passing: After the death of Charles J. Hite in August 1914, there was a period of uncertainty at the Thanhouser Film Corporation. Lloyd F. Lonergan resigned from Thanhouser on November 28, 1914, and by the end of the following month had gone to Universal's Eastern studio to write scripts. His departure was duly noted in Variety, December 5, 1914: "Lloyd F. Lonergan, for three or four years general supervising director and chief of the scenario department of the Thanhouser picture company in New Rochelle, severed his connection Saturday last. Mrs. Lonergan retired from the employ of the company at the same time. "Mr. Lonergan left the newspaper field in New York to become associated with Thanhouser at the behest of Edwin Thanhouser, when the company was in its infancy. He was a close and intimate friend of the late Charles J. Hite, president of the corporation, and who took over the Edwin Thanhouser interests. It is stated the cause of Mr. Lonergan's retirement from the company is that a new regime has become active in the management of the concern's plant since the death of Mr. Hite. There is a strong belief in film circles that Mr. Lonergan may be again associated with Edwin Thanhouser when the latter makes his re-entry into the active film producing field." In several mentions in various articles, The New Rochelle Pioneer described this period of transition: December 5, 1914: "Lloyd F. Lonergan, who created The Million Dollar Mystery and about 800 other scenarios, after five years with Thanhouser, resigned last Saturday [November 28th]. Mr. Lonergan has had several tempting offers to locate with other producers, but his plans are understood to be already made, and he is concerned now only with a desire to take a needed rest." December 12, 1914: "Lloyd F. Lonergan has been engaged by the Universal Film Manufacturing Company, New York, to write special scripts for King Baggot, the Imp star, and to create another serial." December 26, 1914: "Howell Hansel has been appointed producing manager to fill the vacancy caused by the resignation of Lloyd F. Lonergan." The Morning Telegraph, December 13, 1914, gave details of his employment change: "Lonergan to Write Universal Scripts: Author of Million Dollar Mystery and of almost every big Thanhouser photo-play, from the inception of that concern, has quit his position of producing manager of the Thanhouser establishment to become a writer of features for the Universal Eastern Stars. He is now spending much time in conference with Julius Stern, manager of the Imp Studio, and with Mary Fuller, Ben Wilson and William Garwood, for which latter stars he will create his first Universal stories. The acquisition of Mr. Lonergan, whose record of Thanhouser successes has placed him in the front rank of American scenario experts, is considered one of the most important the Universal has made of late." However, when Edwin Thanhouser returned in the spring of 1915 to the company bearing his name, Lloyd F. Lonergan came back as well. Welcome Back: The return of Edwin Thanhouser furnished the occasion for an article, primarily about Lloyd F. Lonergan, in the February 27, 1915 issue of The New Rochelle Pioneer: "Edwin Thanhouser's return to the local studio means much to the future of motion pictures, because, when Mr. Thanhouser selected New Rochelle as the seat of production, art appealed to him in its loudest phrases and Mr. Thanhouser proceeded to put upon the screen photoplays that were paramount to anything produced up to that time. He devoted every moment of his time in this city to producing perfect pictures - perfect in story, perfect in construction and perfect in scenery, and then came a well deserved rest, when Mr. Thanhouser and his charming family traveled extensively abroad. That he came back to his first love was glad news to New Rochelleans, first, but particularly encouraging to the 20,000,000 fans throughout the country, for it means greater things in the future for Thanhouser pictures - pictures that we have all come to love and enjoy. "Colman once wrote: 'And on their own merits modest men are dumb.' And, with Mr. Thanhouser's return, so returneth Lloyd F. Lonergan - champion scenario writer of the world. Yet, had eyesight, along in the late 80s, been good, Lloyd F., the creator of The Million Dollar Mystery, might never have written a scenario, because he would now be one of Uncle Sam's sea fighters and epaulets, gold braid and an international standing by reason of his entrance into naval affairs at Annapolis, Md., after winning his way through a long list of candidates in a competitive examination. Chalk up something good against bad eyesight, because Lonergan as an author has done the world more good than would Lonergan as a sea fighter. "Lloyd F. Lonergan was born at Chicago, Ill., on March 3, 1870, and graduated from the public and high schools. After a short time at Annapolis his eyes failed him and he went back to Jersey, where his trenchant pen began to bring him forcibly before the public. He was a top-notcher in his newspaper connection, holding editorial 'sits' on the New York World, New York Journal, Chicago Examiner and many others, and still retains his connection on the Portland Oregonian as New York correspondent, simply from sentiment. "His first story was written after Mr. Thanhouser, his brother-in-law, ordered him to this city, because he could not find a scenario editor. It was produced, but, according to Lloyd, never released. Aunt Nancy Telegraphs was its title, and it must have been good to have been produced, but it never saw the commercial screen. This was in December 1909, and since that time 800 stories have been projected, which undoubtedly makes Lonergan the greatest scenario writer that the world has ever produced. It is safe to say that in December, his fifth anniversary as a screen writer, found his total about 1,000, which makes an average of 200 stories a year look like hard work. He considers The Million Dollar Mystery, 46 reels, as his greatest achievement, and properly so, because in no other serial have thrills appeared which seemed perfectly logical and convincing. He likes, personally, comedy best, but drama, he claims, goes better if properly done. 'What are your best hours of work, Mr. Lonergan?' the scribe asked. "'My method is simple. I get an idea, 'dope' it out roughly, smooth off the rough corners, then dictate to a stenographer. I often work on more than one script at a time. I find that while working on drama, it rests me to dash off a comedy between.' Mr. Lonergan holds the distinction of being Director of Productions at Thanhouser, which makes him chief of directors, who confer with him daily. He has no magazine connection now, but his work has appeared in Munsey's, Top Notch and others, but because of his diversified duties at the big studio he quit writing short stories. For several years he was political editor of the Hearst New York papers, and they do say that his prognostications were uncanny. He knew to a dot, weeks ahead of an election just who were to be elected and their plurality. He had his fingers on the public pulse. He seldom missed the target of truth when he talked politics. "Yet his studio work doesn't keep him altogether tied down, and he found time to devote to lodge work. He is a Past Master of Manual Lodge, No. 636, Free and Accepted Masons; an honorary member of Huguenot Lodge, New Rochelle, F. and A.M., Life Member of New Rochelle Lodge of Elks and is a member of the Ed-Au Club of New York, composed of editors and authors in the field of the screen. Mr. Lonergan has done a great deal for promising writers. If he takes a liking to one and sees promise in his work, he takes the time to guide him. He has developed several. "And at Beacon Hall, his beautiful residence, he finds time to entertain, and with Mrs. Lonergan's help he does that royally. His latch string has been pulled by some mighty important personages in the literary world. The Duke of Manchester was a recent guest and Mr. Lonergan insisted upon 'working' him in a picture. When George Cohan wrote 45 Minutes From Broadway and took New Rochelle as his theme he did almost irreparable injury, but Lloyd F. Lonergan in his five years has changed all that. Cohan made New Rochelle infamous, but Lonergan has made it famous as the home of 'Thanhouser.' No one will envy him his remarkable record nor attempt to dethrone him as the world's greatest screen writer, because he has accomplished all this in a quiet way and really dislikes publicity. The interview quoted above had to be pried away from him by subterfuge, but a knowledge of the subject and his work for two years filled in the gap." His Later Work: The New Rochelle Paragraph, June 4, 1915, told of an unfortunate incident: "Lloyd Lonergan, the premier scenario writer, of Thanhouser Film Corp., is lying injured at the Ear and Eye Hospital of New York, as a result of being assaulted by robbers with a blackjack, Sunday night, at about 11 o'clock. Mr. Lonergan, was coming from the Elks' Club when three robbers came up at 43rd street and Sixth Avenue, and demanded that he give up his valuables. Mr. Lonergan put up a fight before the blackjack was used upon him. The robbers took $200 in cash which Lonergan had on his person; his valuable watch, a presentation from newspaper men upon his retirement from the newspaper game; a diamond ring valued at $300, and a Masonic signet ring. Mr. Lonergan's condition is not serious, although it is feared that a piece of glass is in his eye." A slightly different account appeared in Variety, June 11, 1915: "Lloyd Lonergan, the chief of the scenario department of the Thanhouser, is at present in a hospital in New York recovering from injuries he received just outside of the Hippodrome about ten days ago. It was in the evening and Mr. Lonergan was set upon by several persons. At first the motive was thought to have been robbery, but his wallet, which was taken from him was received at the studio by mail with the contents intact." From 1915 through 1917 Lonergan wrote many more scenarios for the Thanhouser Film Corporation. In late summer 1917, when the business at the Thanhouser studio was being phased out, he announced his retirement. Later Years: On September 1, 1917, Lonergan retired from Thanhouser, which was then virtually out of business, and announced that he was going to Cape May, New Jersey for a needed rest. However, in November 1917 he was back in New Rochelle, where he edited The Million Dollar Mystery from 46 reels to six, for reissue in 1918 by the Arrow Film Corporation. In later years, Lloyd F. Lonergan wrote scenarios for others, including the 1920 releases of A Common Level (Transatlantic Film), Neglected Wives (Wistaria Productions), Why Women Sin (Wistaria Productions), and My Lady's Garter (Maurice Tourneur Productions). The Lonergans had no children, although one pregnancy ended in stillbirth. Lloyd was afflicted with a brittle bone syndrome which restricted his movement and which was the cause of frequent fractures and injuries. Lloyd F. Lonergan died in New York City on April 6, 1937. In an interview with the author, conducted on August 1, 1987, Edwin Thanhouser's granddaughter, Joan Thanhouser Sherman, recalled that Lloyd F. Lonergan was a large man who was afflicted with osteoporosis and was always breaking bones. In later years he was crippled and blind. He lived in a very tiny apartment in later years, with a Murphy kitchen, living room, and bedroom. At one time he was overcome by gas in his apartment and was found unconscious in the kitchen. He continually smoked cigars. As a hobby Lonergan collected canes. In 1970, Lloyd F. Thanhouser, the son of Edwin Thanhouser who was named after Lloyd F. Lonergan, wrote the following commentary concerning his uncle: "My Uncle Lloyd (nicknamed 'Nunky') held high editorial positions with New York newspapers and also acted as New York correspondent for papers out West. In addition, he authored numerous articles and short stories for publication in magazines. His fertile imagination and keen sense of humor enabled him to devise innumerable intriguing and amusing stories for filming at the Thanhouser studio. In those days, he was a short, heavy-set man with a full beard surrounding a smile and a big cigar. As time went on, his bones shrank, turned brittle, and were easily broken. He suffered several bad fractures, became lame, and, eventually, a cripple... His wife Molly survived him for several years." Lloyd Lonergan's brother, Philip, was also employed by Thanhouser. His sister, Elizabeth, was a scenario writer and film reviewer and visited the Thanhouser studio regularly, but she never wrote a script for a Thanhouser film, although she did write for other Mutual companies. It is highly likely that Lloyd F. Lonergan's name should be attached to nearly all of the scenarios written for Thanhouser films during 1910, 1911, and 1912, as well as many of later years. However, during that period a few others, such as Gertrude Thanhouser, wrote occasional scripts. The films listed in this text are ones which have been specifically identified as the work of Lloyd F. Lonergan. Note: According to Who Was Who on Screen, 3rd edition, Lester Lonergan began his film career with Thanhouser. However, no verification of this can be found in the Lonergan-Thanhouser family records, nor has the author located any other mention of Lester Lonergan in relation to Thanhouser. Lester Lonergan, who came to America from Ireland in 1886, and who died in 1931 at the age of 62, distinguished himself on the stage and screen and was a writer.